To foster collaborative business activities which enhance Community Health Centers’ individual abilities to serve their communities to meet the needs of Arizona’s uninsured, underinsured and underserved. Clinical, operational and financial data monitoring, analysis and aggregation, both by the health center and in the aggregate, for value-based performance reporting. Assistance in the review and messaging of contract terms and conditions essential to value-based purchasing and health center financial sustainability. Health centers advancing health information exchange and technology-enabled quality improvement strategies for effectiveness, efficiency and value. Health center collaboration in promoting value-based care through population health management, improving the patient’s experience and reducing costs. 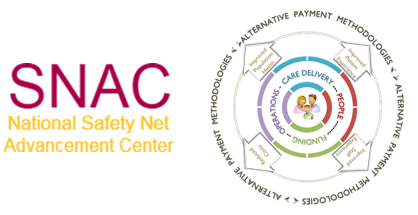 The Safety Net Advancement Center of Arizona State University has engaged Collaborative Ventures Network (CVN) to facilitate a collaborative effort to advance a Payment Reform Strategy for Safety Net providers in Arizona that supports both the achievement of the Quadruple Aim in health care transformation and the future operational/financial sustainability of patient-centered value-based primary care through these safety net organizations. CHC Collaborative Ventures dba Collaborative Ventures Network (CVN) was organized in 1997 as an Arizona not-for-profit integrated services network under guidelines consistent with the Affiliation Policies of the Health Resources and Service Administration (HRSA) Bureau of Primary Health Care. Since that time it has sought and pursued appropriate opportunities to fulfill its corporate purpose of promoting and facilitating the development and delivery of culturally accessible, geographically available and economically accessible Community-Based quality health care. 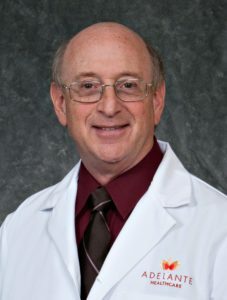 Implementing health information technology (HIT), including the adoption of electronic health records (EHRs) and population health management tools that can provide actionable data, aggregate and compare performance and provide clinical/quality results reporting for patients served in Health Center communities. In July 2016, Health Resources and Service Administration (HRSA) awarded CVN a three-year $2.25 million Health Center Controlled Network (HCCN) grant. Currently there are 20 health centers, serving patients across 120 sites, participating in the HCCN. To further emphasize the shared objectives of the health centers participating in this grant project, CVN has named this group Healthy Communities Collaborative Network. In October 2016, the Board of Directors authorized the offering of Participating Provider Agreements for CVN’s clinically integrated network thereby launching the next step for the development of its statewide patient-centered primary care network, Healthy Arizona Network.CVN also has had a long-standing relationship with the Arizona Alliance for Community Health Centers (AACHC), the state’s primary care association since 1985. AACHC and CVN leverage resources, including subject matter experts, education and peer networking. 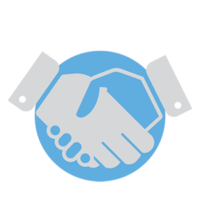 An Administrative Services Agreement (ASA) between AACHC and CVN supports additional economies through shared space, HIT and software licensing, office functionality, and the cross-utilization of personnel. CVN’s corporate membership is comprised of nineteen (19) community-based, nonprofit or public, primary health care organizations operating in Arizona. In accordance with its Bylaws, CVN is governed by a Board of Directors, comprised of one representative of each Member organization and the President of the AACHC Board of Directors. The CVN Board of Directors has the responsibility for fulfilling the company’s mission, developing business strategy, and providing oversight of CVN management. The CEO provides day-to-day direction to CVN’s management team in all activities related to CVN’s integrated services network, including clinical integration and any external grant funding for projects. The CEO is an ex official member of the Board of Directors and both the Executive and Quality/Clinical Management Committees of the Board. The COO has responsibility for providing oversight to all components of member, operations, and network management for CVN, including administration of network-shared support services, grant activities, and health plan contracting. 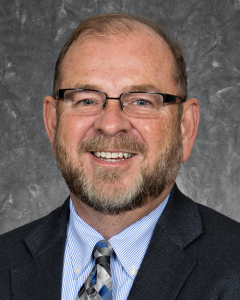 The COO serves as Project Director for all grant activities. The CMO has responsibility for providing oversight to all components of quality and clinical management for CVN, including development of a quality management and quality improvement plan and a population health management strategy. The CMO is an ex official member of the CVN Quality/Clinical Managment Committee.